The Millrace Townhomes in Provo Utah are BYU Approved. The Millrace Condominiums are located at 237/241/245 W. 2230 N. Provo, UT 84604. 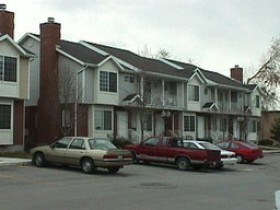 These townhomes were built in 1994 and 30 units were built. I remember selling one of my first properties in 1995. This was a Millrace Townhome in Provo Utah. I was excited because I represented the buyer and seller in the transaction. If I remember correctly I sold this townhome for $100k. It was a newer townhome and one of the nicest townhomes in Provo. It was a very smooth transaction and I was thrilled. I looked on the MLS to see the sold data statistics. I noticed that the earliest sold Millrace townhome sold in 1996 for $133,000. The prices went up to $154,900 in the year 2000. The prices continued to climb up to $198,200 in 2006. If you are currently looking for more up to date information regarding these townhomes send me an email. I can look up the current active, under contract and sold Millrace Townhomes. If you are looking to buy a Millrace Townhomes in Provo Utah contact Paul Teasdale of Team Teasdale Realty. Paul will look for any available Millrace Townhomes. If none are available Paul will help you find a similar townhome in the area. If you are thinking of sellling a Millrace Townhomes in Provo Utah contact Paul Teasdale of Team Teasdale Realty. Paul will visit your townhome for free and give you a quick analysis on the current value and time it will take to sell. 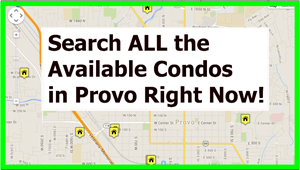 Hire a local Realtor that has been selling condos in Provo full time since 1995.